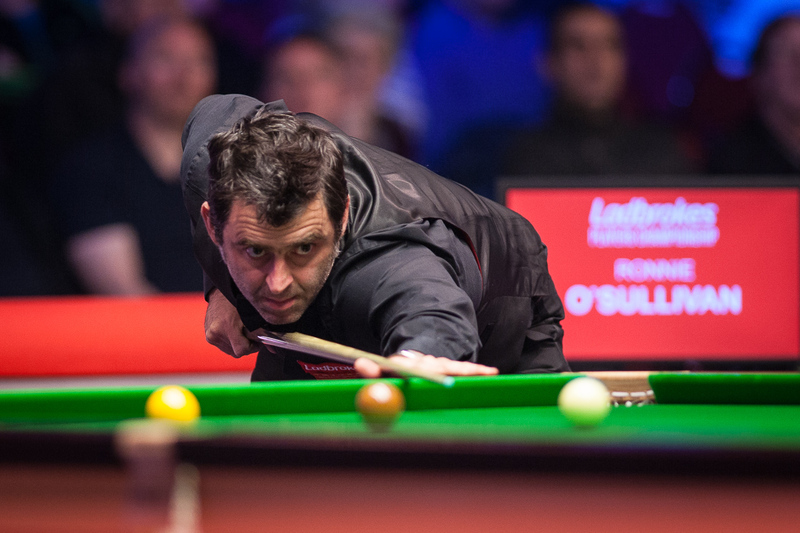 At the age of 42, Ronnie O’Sullivan enjoyed arguably the best season of his 26-year career in 2017/18. And when it comes to the debate on who is snooker’s greatest ever player, his recent success has shifted opinion firmly in his favour. O’Sullivan first threatened to quit snooker when he was a teenager, and has done so repeatedly ever since. As recently as January, at the Masters, he talked of missing the World Championship in order to film a TV show in Australia. In the end the Rocket did compete in snooker’s biggest event and although his bid for the 2018 Crucible crown was derailed after an ill-tempered last 16 clash with Ali Carter, few would write off his chances of picking up a momentous sixth world title in the future. Throughout the season, O’Sullivan appeared to enjoy snooker as much as he ever has. He held the posture of a man who has nothing to prove, with a vast array of titles under his belt. 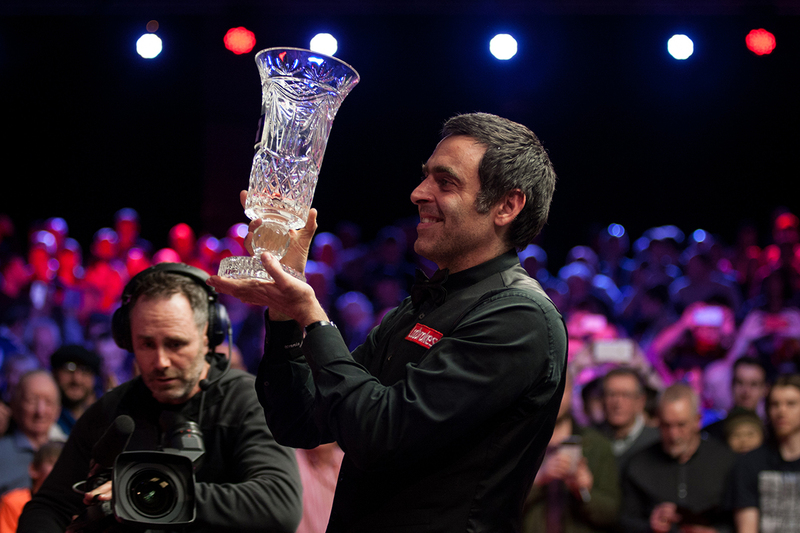 While younger men strive under the pressure of establishing themselves inside snooker’s pantheon of greatness, O’Sullivan sits untouchable at the high altar. He may downplay his ambition to take those records he doesn’t already hold (“records mean nothing to me” is his mantra) but the pursuit of those achievements is surely, deep down, what drives the satisfaction he finds in playing well and winning. The thrill is in the chase. And how his fans around the world were thrilled in his brilliance last season, watching a sporting talent – who deserves to be mentioned in the same breath as Lionel Messi, Roger Federer and Tiger Woods – in full flow. The Rocket clocked up more centuries in a season than ever before, more prize money and more ranking titles. The man O’Sullivan has – many would argue – dislodged at the top of the pantheon is Stephen Hendry. During his golden spell in the 1990s Hendry set the bar for his most treasured record very high – winning the World Championship seven times. The Scot also set the benchmark for the most ranking titles, at 36. The latter – if O’Sullivan maintains his current form – will surely be broken soon. The former might prove much more difficult to match. Judd Trump is tipped by many as the natural heir to O’Sullivan and he is comfortably the sport’s second biggest box office draw. He doesn’t doubt O’Sullivan’s motivation. Eurosport commentator and journalist David Hendon has seen both Hendry and O’Sullivan win world titles throughout his career working in the sport, from his role as the WPBSA Press Officer to his current job in the commentary box. Hendon said: “You can argue who the greatest ever is until the cows come home, and people do of course. A lot of it depends on what criteria you use. On titles, notably world titles, Hendry is still ahead. However O’Sullivan has one thing Hendry did not: longevity. Stephen retired at 43 because he felt he could no longer compete at the top. Ronnie is 42 and won five ranking titles last season. He is a long way from finished and his continuing reign at the top of the sport is unprecedented. Commentator and snooker journalist Phil Yates believes that you must broaden your measures, to allow for talent and ability to be part of the conversation. “As Hendry’s records have tumbled, so the debate has become ignited but it is all a matter of criteria,” said Yates. “Hendry has won more world titles at the Crucible and more world ranking tournaments than O’Sullivan. If you believe greatness is based purely on achievement, your vote still has to go to the Scot. 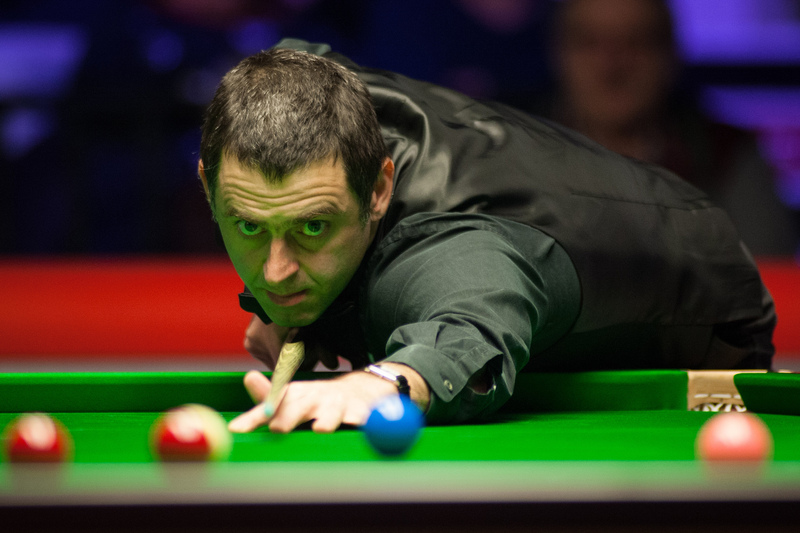 “However, if your definition of greatness is wider, incorporating other attributes such as longevity, talent, break-building, entertainment value and the way he moves the needle, it simply has to be O’Sullivan. I don’t think that Hendry did have the type of opposition and challenge that Ronnie, John Higgins and Mark Williams gave each other over the course of a 25+ years career: they all three are still very much dominating the game, along with Mark Selby in recent years. Once the class of 92 came to age, Hendry sort of faded away. When he won the sixth of his World Titles, they were only 20 (Ronnie and Higgins) and 21 (Williams). Hendry only won two triple crown events after that, two out of 18, and to me it’s because those three became better than him, more complete players, they had learned from him, they had adopted his attacking ways, taken on board some of his innovating shots, but they also developed a tactical nous and a safety game that Hendry never really applied himself to. And this leads me to the second point: all three of the class of 92 have a remarkable longevity because all three were able and willing to change and to reinvent themselves. If you look at some of the great sporting figures at this moment in time, you have people like Federer and Valentino Rossi. You can’t sustain a sporting career, winning over decades, without making changes in order to cope with what the passing of time does to you: you gain experience but you suffer battle scars, you get wiser but you lose the fearlessness of youth. Hendry didn’t adapt, be it because he didn’t want to compromise or because he wasn’t able to, only he will know. But it cost him. Don’t get me wrong, Stephen Hendry is a great, great champion, one of the all times greats most certainly. He forerver changed the way snooker is played and every player of today owes him for that. But in my eyes, he isn’t the greatest. It’s worth noting that Stephen didn’t have to deal with his father going to prison when he was 16, like Ronnie did. We’ll never know for sure, of course, but it’s not unreasonable to think that Ronnie would have won more tournaments (including World Championships) early on in his career if the imprisonment hadn’t happened. Ronnie-Higgins-Williams steal each other couple of World titles and tournament victories. Without Higgins and Williams Ronnie should’ve been 40+ ranking winners with 6 or 7 world titles. Without Ronnie Higgins should’ve been 40+ ranking winners with 5 or 6 world titles. Williams should’ve been at least 30+ ranker winners with 4 or 5 world titles in my opinion. Hendry’s hardest opponent between 1990-1999? Jimmy White who – unfortunately – destroyed himself?